Over eighteen years in real estate has not slowed high-achiever Jacqui Taylor from selling the best of the Bay. Joining New Zealand Sothebyâ€™s International Realty at itâ€™s launch into the Hawkeâ€™s Bay market in 2012, Jacqui spearheaded the business to quickly establish itself as the leading agency in the mid to high end residential market across the region. Jacqui is no stranger to awards. 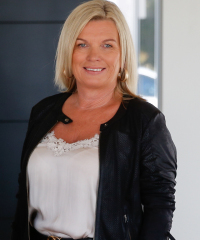 After embarking on her career selling premium coastal properties in and around Mahia Peninsula, within a year of moving to an established team in Napier, Jacqui quickly became the top residential agent, her results speaking for themselves. Slowing down is not an option. Real estate is a career which Jacqui gives 100 per cent commitment to. Often with the recommendation of Madison's Homestyling, Jacqui has formed an experienced, tight-knit team continuing to drive sales through superior marketing with premium results. â€œHelping people achieve their dreams is very addictive â€“ people want to put the sale of their biggest asset into the hands of someone experienced, who will expose it to the broadest possible market and do the best job,â€� she says. New Zealand Sothebyâ€™s International Realty allows a clientâ€™s property to be presented truly globally, while locally our aim is to present homes to the market better than anyone elseâ€�.